For the first time a photo festival organized around the theme music. Of 4 to 28 July 2009 the Museum Quarter of Schiedam the backdrop of the first International Music Photography Schiedam (IMPF). Dutch and international photographers who have been invited to present in shop windows and windows of houses in the city their work chosen music as a major theme in their work. In 8 galleries and museums find themed exhibitions. In addition to these exhibitions, concerts, packages and organized signeersessies. Photo exhibition in shop windows and windows Hoogstraat, Grote Markt, Lange Haven, Short Haven. In any event, work of Jim Marshall (USA), Roy van den Burg, Paul Bergen, Dimitri Hakke, Joost Leijen, Raphael Springer (D), Peter van Breukelen, Baron Wolman (USA), Wim van Zon, Rob Verhorst, Dirk W. de Jong, Hans Speekenbrink, Loe Beerens, Dominique TarléF), Joke Schot, Marcel Rozenberg, René Keijzer, Lex is Rossen, Bob Gruen (USA), Gered Mankowitz (UK), Richard Sinte Maartensdijk, Henk Visser, Ton van Wageningen, Angelique van Woerkom, Isabel URS e.a..
Dimitri Hakke is a young rock photographer who was immediately recorded with a recording of Keith Richard at the prestigious Rock Archive. 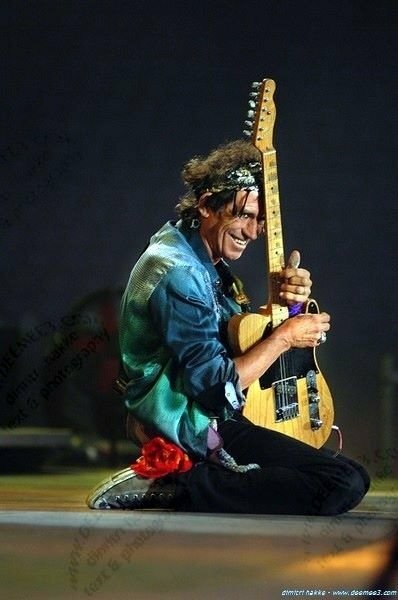 Makes the last years shooting jazz artists but remains rock-centered. 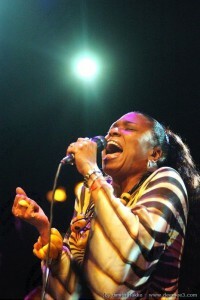 Exposeert in 2009 for the first time at the North Sea Jazz Festival. 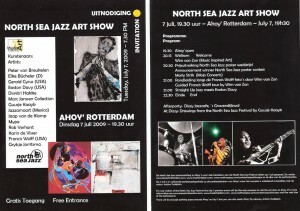 Since the beginning of the North Sea Jazz Festival is art part of the event. Last year the exhibition, visitors gave a broad picture of jazz-related art and the best jazz- and the blue photography there is. For the fourth time the Music Inspired Art Foundation is organizing the art show at the North Sea Jazz Festival. Highlights in the exhibition this year the legendary Blue Note photographs of Francis Wolff and the work of a number of female artists who exhibit for the first time at the festival. The photographs of Francis Wolff are now world famous. There are several books with his photographs of the recording sessions of all the greats of jazz. The 70 anniversary of the Blue Note label is a great opportunity to present at the North Sea Jazz Festival in Ahoy an extensive series. In the Central Library in Rotterdam and in S-Town in Schiedam, these pictures can be seen until the end of July. 2009 was the year that especially female artists will be in the art show to see. Karin Fisher presents this year, her large-format series'Diva's`. New include the young Inger Levitus with colorful cloths, Mijpe (also with saxophone player Tineke Postma cooperated) with earthy abstract works and the Frisian Grytsje Jorritsma drawings which makes the movement of jumps. Furthermore paintings Jazzamoart (Mexico) en Easton Davy (USA) see. In addition to some familiar names such as Jaap van de Klomp and Peter van Breukelen his old master and the young Rob Verhorst Dimitri Hakke new names presented photographers. New in the exhibition are lp covers with images of in 2007 deceased photographer Joel Brodsky collected by Marc Janssen. 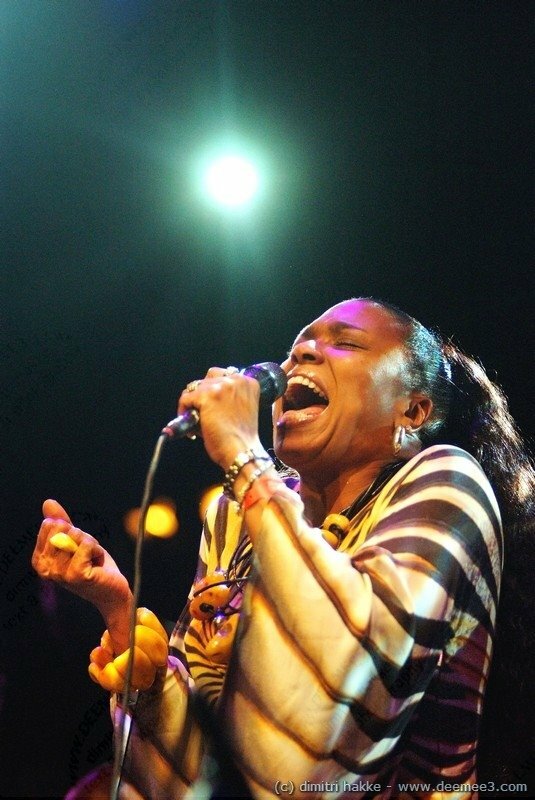 Around the North Sea Jazz Festival, the MIA Foundation also organizes exhibitions at the Hilton Hotel and Jazz Cafe Dizzy. Partly linked to the North Sea Jazz Festival, the International Music Festival of Photography 4 to 28 July organized in Schiedam. One of the special guests there is more than Gerald Cyrus 10 years on Monday evening visited the living jazz clubs in Harlem and photographed. Entitled Stormy Monday published a book with atmospheric shots of these nights. At the North Sea Jazz Festival also shown pictures of Gerald Cyrus displayed and Cyrus will present themselves.